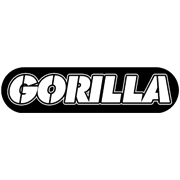 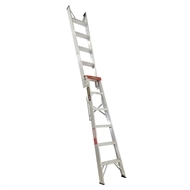 The Gorilla 120kg aluminium dual purpose ladder is domestic rated with a cross brace spreader. 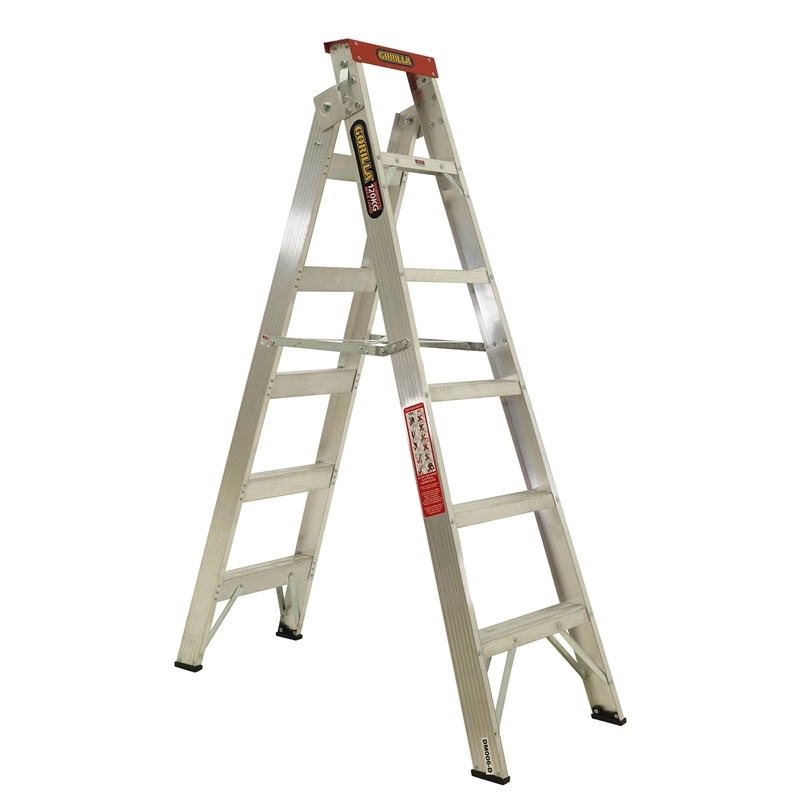 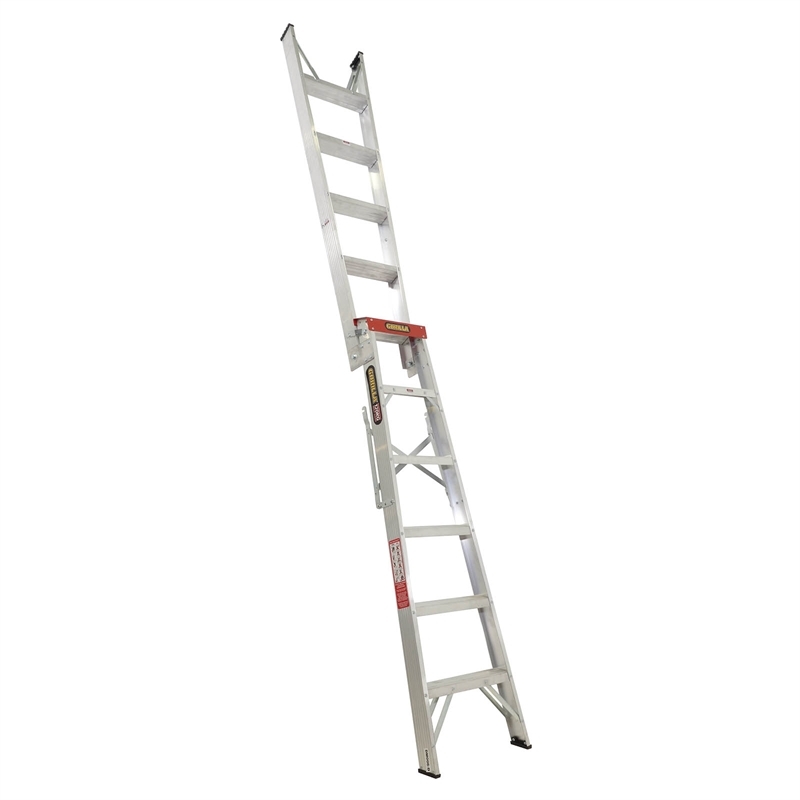 This lightweight ladder is able to conveniently transform from double sided A-frame to straight ladder in seconds. 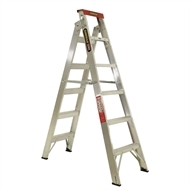 It also offers the added safety features of non slip treads and is stabiliser ready, giving extra protection when working on uneven surfaces.